The UAE Cabinet has approved Dh11 billion in social assistance for low-income groups over the next three years. 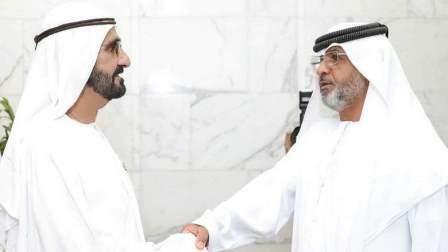 The approval follows an unprecedented Cabinet meeting on Sunday in which an unemployed Emirati - who was ridiculed during a live radio programme just last week following his request for a decent home - sat shoulder to shoulder with the country's Vice-President and ministers. His Highness Sheikh Mohammed bin Rashid Al Maktoum, Vice-President and Prime Minister of the UAE and Ruler of Dubai, took to Twitter to announce the fund, of which Dh3.88 billion has been marked for the elderly; Dh1.55 billion for those with a financial and health deficits; Dh1.7 billion for people of determination; and Dh183.9 million for families of prisoners, among other categories. The Cabinet reviewed the report of the Ministry of Community Development, which identified six main requirements for citizens with low incomes: housing and basic needs, transportation, financial support, healthcare, education and work. Sheikh Mohammed also appointed the Ras Al Khaimah-based Emirati, Ali Al Mazrouei, as a social researcher at the Ministry of Community Development. "The story of Ali Al Mazrouei moved us all ... A nation moves when a citizen is hurt," he said during the Cabinet meeting. "We hosted him today to listen to his story, and to the voice of the people." Sheikh Mohammed stressed that meeting the needs of the society, particularly social welfare and social services, is essential for the stability of societies and peoples. He stressed that paying attention to citizens' demands is one of the basic principles of all government strategies and programmes, adding that the coming periods will witness a "broad government focus on low-income groups". "The priorities of the government were and will always remain our citizens. We reviewed the report of the Ministry of Community Development today and asked to conduct field surveys and develop long-term plans and propose urgent solutions for a range of topics," he said. Al Mazrouei hailed Sheikh Mohammed for giving him a home, goodness and "a job that gives me the opportunity to serve our people". "Our leaders always act promptly if something is bothering the people," he said. The meeting follows an unprecedented sequence of events that saw Al Mazrouei's grievances attended to within 24 hours and led to the suspension of the radio jockey who insulted him. The 57-year-old has to live off a monthly amount given by the social affairs department as he is unable to work due to health problems. He told Khaleej Times last week that he called the Ajman radio programme because he wanted to push the department concerned to follow up on his application for a house. After the Cabinet meeting on Sunday, he said: "I made that call to deliver the voice of low-income groups to the leadership. I always knew that the leadership was working to make the UAE better." In the legislative affairs, the Cabinet approved the issuance of a federal law to regulate the practice of medicine in order to develop health services in the UAE. The new law defines and regulates three medical professions: The visiting doctor, resident doctor, and intern doctor. The law takes into account recent changes in the medical profession and will contribute to improving the quality of medical service and promote the UAE as health tourism destination. The Cabinet has also given special attention to the health of infants and children through the adoption of a resolution to regulate the marketing of infant and young child formulas and milk alternatives. The law aims to ensure healthy growth while promoting breastfeeding during the first six months of the infants' life. The new decision will ensure the safe use of natural milk substitutes and food products for children and impose the provision of an identification card with all information on proper use. In international cooperation, the Cabinet approved an agreement between the UAE and Sri Lanka on mutual administrative cooperation and assistance in customs affairs, and the establishment of a UAE Embassy in the Maldives.